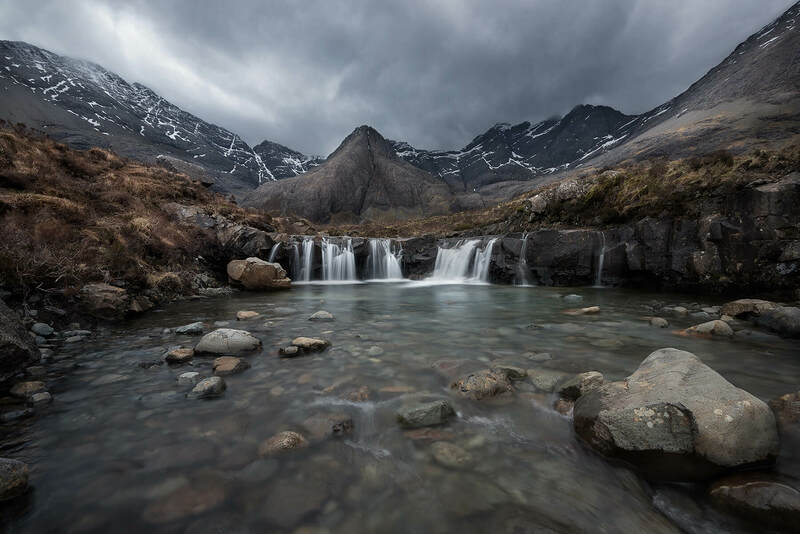 The Fairy pools on the Isle of Skye are another very popular place for both visitors and photographers. The fairy pools are a series of natural waterfalls in Glen Brittle, on the Mhadaidh river. The waterfalls and some deep pools have beautiful blues and greens, which is great for photographers. If your visiting the Isle of Skye its a must to visit here, amazing waterfalls with a backdrop of the cuillin hills.